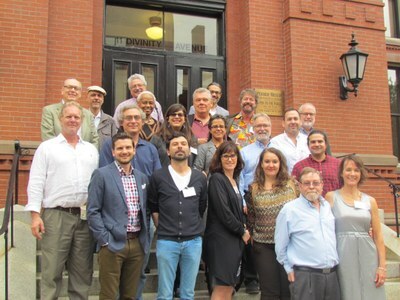 This past weekend, the Afro-Latin American Research Institute, housed at Harvard University’s Hutchins Institute, held a seminar for developing the field of Afro-Latin American Archaeology. 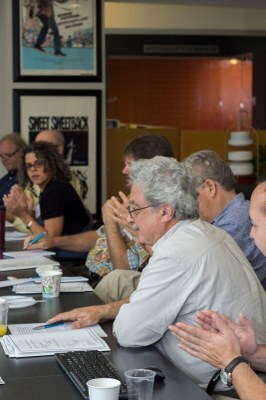 Sponsored by the Wenner Gren and organized by Dr. Kathryn Sampeck of Illinois State University, this seminar brought researchers from the US and Latin America together to discuss the current state of the field and future goals. Dr. Browne Ribeiro contributed insights from her recent field research among communities in the Brazilian Amazon that are federally recognized as descendants of Maroon populations (Quilombola communities). Dr. Browne Ribeiro’s current research in Afro-Latin American Archaeology explores the use of space among Quilombola communities in Gurupá and the role of archaeologists vis-à-vis identity politics and territorial rights in these contexts. Dr. Browne Ribeiro with Afro-Latin American Institute attendees.